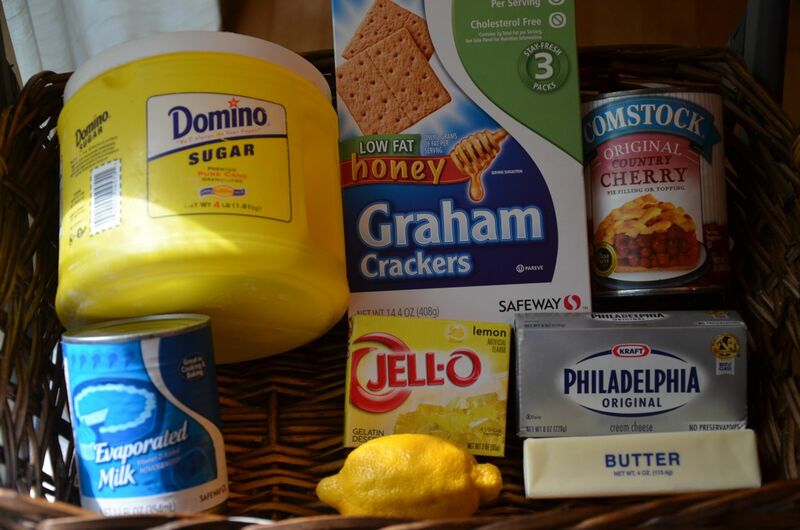 July 30th is National Cheesecake Day, which means that Cheesecake Week has returned to Recipe Shoebox! 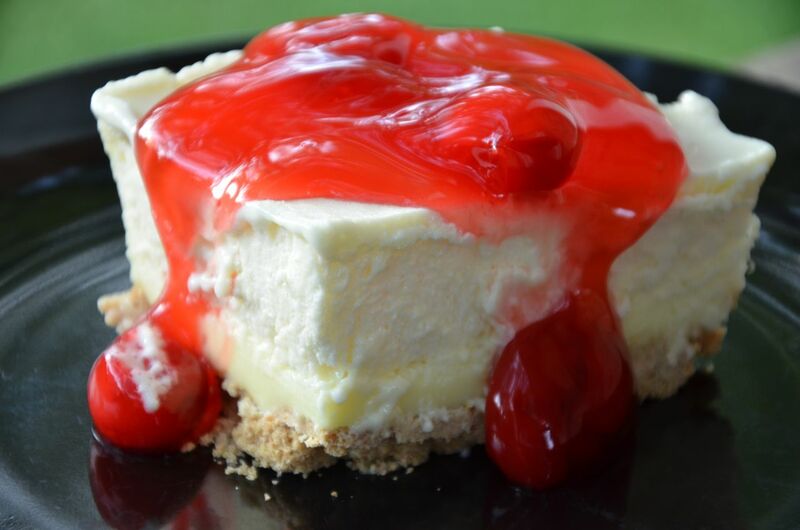 Look here for a recap of all of our past cheesecake recipes and stay tuned for a whole week of delicious new cheesecake recipes! 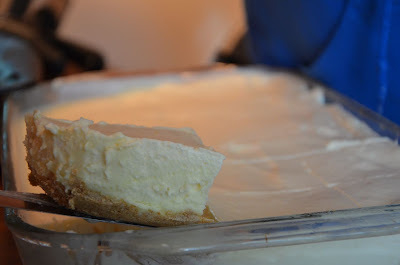 This particular cheesecake recipe holds a special place in my heart and I was so shocked to realize that I'd never shared it here on the blog before. 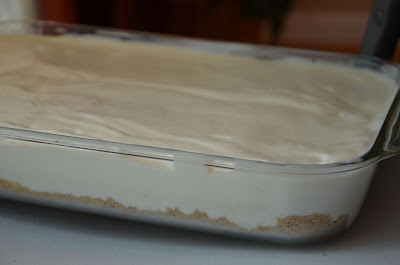 You see this the cheesecake that I grew up eating and it wasn't until a few years ago that I realized what a uniquely wonderful cheesecake recipe this really is. Unlike most cheesecakes which are delicious, but somewhat on the heavy side of things....this one is light and airy and is more similar to a mousse in texture than a normal baked cheesecake. I love that it can be easily adapted to any flavor/color you could possibly think of. I've made this into pink, green, and even blue cheesecakes before just by using a different flavor of Jello. It's one of our oldest, most favorite summertime desserts! Enjoy! *Advance Preparation: Place the can of evaporated milk in the refrigerator a few hours before making the cheesecake as it must be chilled in order to whip properly. 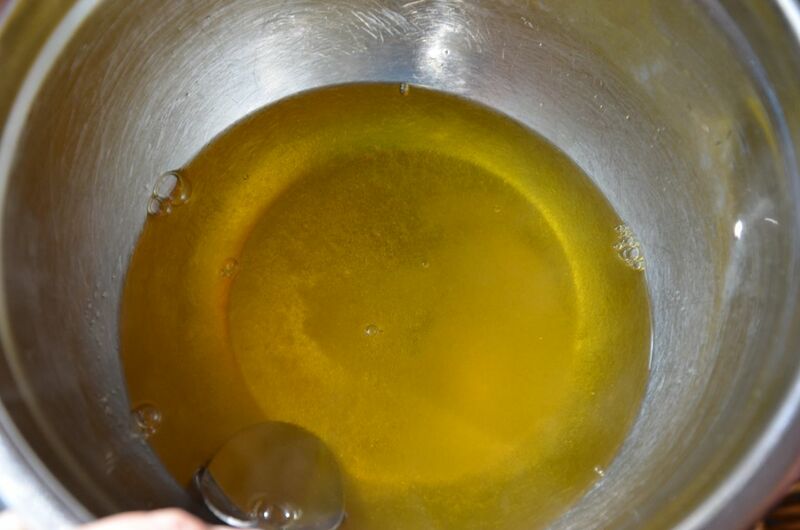 Directions: Dissolve package of Jello with 1 cup boiling water and stir together until dissolved. Set aside. 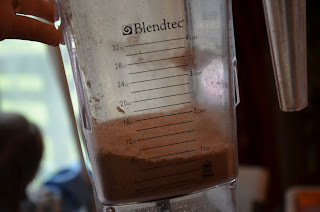 Crush 2 packets graham crackers and blend in 1/2 cup butter (I crushed them in the blender). 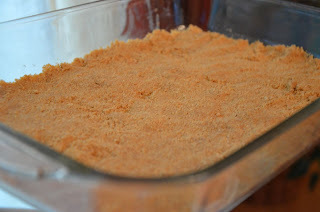 Press cracker mixture into bottom of 9x13-inch baking dish. 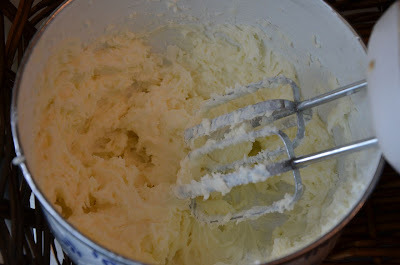 In a separate bowl, cream together cream cheese and sugar. Set aside. In a large bowl, whip evaporated milk which has been thoroughly chilled. Add lemon juice and whip until stiff. 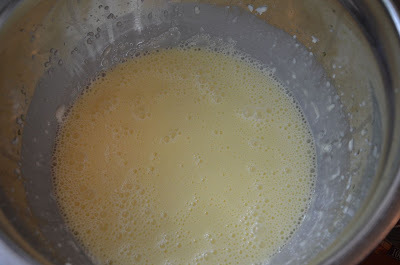 Add cooled Jello into cream cheese/sugar mixture. 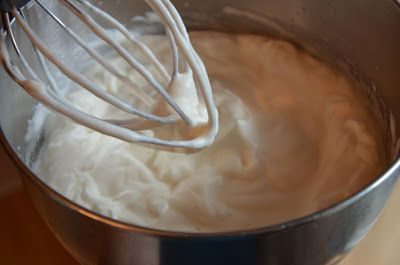 Fold whipped evaporated milk into cream cheese/Jello mixture. Chill several hours or overnight. Serve plain or with slightly thickened fruit. 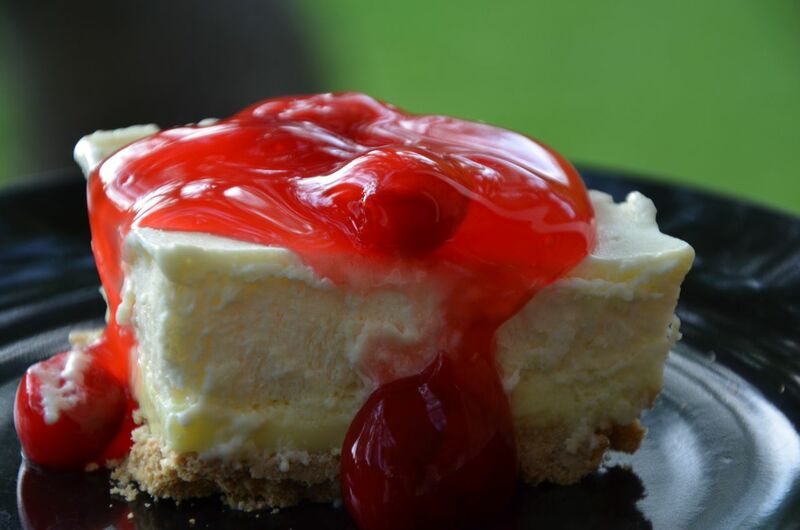 Click here to see all of our cheesecake recipes in one place! Lara has definitely made it in lots of different colors. She said the color is subtle and it definitely still tastes good. My favorite flavors are definitely lemon or lime. The berry flavored ones are good as well, but it is a unique flavor for a cheesecake. My husband loves his mom's raspberry-lemon cheesecake, but, after years of runny cheesecake, I gave up trying to make it. THIS IS IT! I can't believe it! The recipe makes much more sense with pictures. The cold milk really must make a difference too. I'm going to attempt this recipe again. THANK YOU! (in case you're curious- the topping she uses is 1 pkg raspberry danish dessert, 10 oz pkg frozen raspberries, and 1 cup water heated all together). The raspberry-lemon combo is yummy... if I can just get that middle layer not to run all over the place! :) Thanks again, Lara! I use your recipes often. Just had the turkey meatballs the other night. Yummy. We miss your family! I just made this– it's setting in the fridge right now. I didn't have lemons or limes, only orange juice and powdered citric acid, so I added some of those instead. The evaporated milk really FLUFFED up with that!! 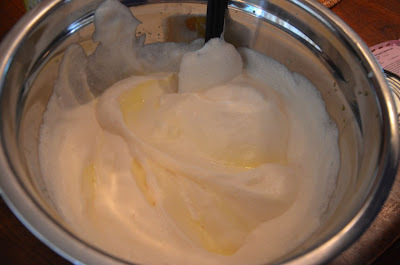 It didn't look like your picture, it was more like whipped egg whites! But I took a taste test (okay, three spoonfuls) once everything was mixed together and it was yummy (: Thank you! Hi, me again ;) just wanted to tell you that I brought this to a family reunion earlier today and everyone liked it and asked around to find out who had made it. Thanks so much!! 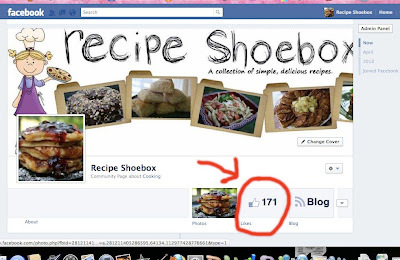 Thank you for sharing this recipe, Lara! It’s way easier to make than that of the traditional cheesecakes. Having to wait through several hours of preparations and baking can be a bit frustrating, though. Haha! Anyway, thanks for sharing!